Snowshoe covers 11,000 acres in the Appalachian Mountain Range and includes the second highest point in West Virginia at 4848’. 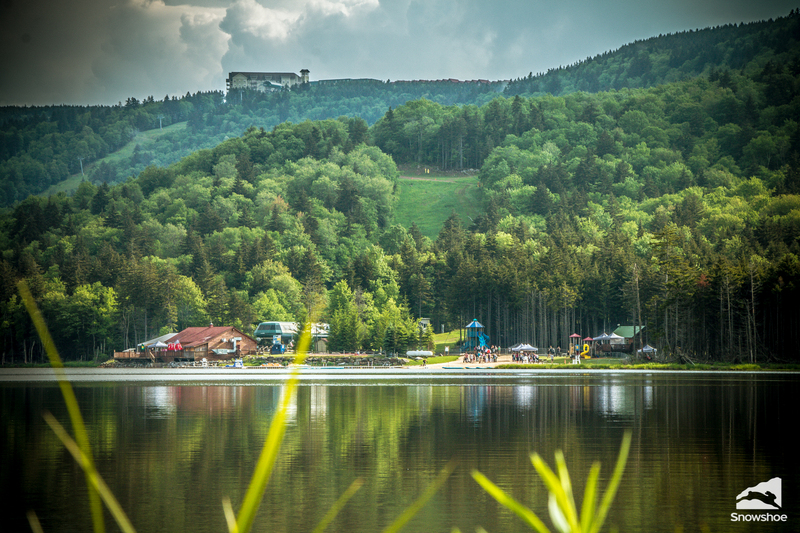 Snowshoe Mountain Resort, touted as the best ski resort in the region, delivers a phenomenal summertime outdoor playground. Whether you book a room package or choose to camp with us, 4848 Festival offers a festivacation experience where you get everything a festival has to offer plus a mountain resort vacation. Experience the spectacular drive through the mountains, arrive at the resort, check into your room or your campsite and join us for a mountain high adventure sporting an average July high of 82 and low of 60. Your ticket features 3-days and 3-nights, 2 main-stages, 18 genre-busting bands, 30+ hours of live music, crowd performers, microbrews, delicious food and authentic craft vendors, scenic-lift rides, Festival Express Shuttles, Split Rock pools, zipline, climbing wall and Shavers Lake Activities including; swimming, paddle boats, canoes, kayaks, plus hiking trails, beach, and lake-side hammocks….come join us for your fesitvacation! Snowshoe is uniquely located in a part of rural West Virginia that feels secluded and convenient all at the same time. We recommend some pre-planning and less relying on GPS and cell phones. What's the best way to get to Snowshoe? That depends on where you're coming from, who you ask, and your road-trippin' style. There are several possible routes from every direction, so you can choose between scenic back roads, midway historic points of interest, or just getting here and getting on with the fun. The main thing to remember is that our rugged location can make GPS and smartphone maps less reliable than you might be accustomed to and cell service is limited, so you'll want to do some pre-road-trip planning and trust those turn-by-turn instructions. Here are a some of the routes we prefer to travel (but we still think you should embrace your inner old-schooler and grab a paper map or road atlas). If you must use a GPS, we suggest inputting longitude and latitude coordinates, rather than using a street address and always cross referencing your GPS instructions with an accurate map. Please refer back as 4848 approaches for Check-In GPS coordinates. Additionally, please be aware there is limited cell phone service in many areas surrounding the resort. AT&T has the most reliable service. Wifi is available throughout the Village area and resort rooms. Parking is no additional charge to anyone except for those with RV’s. We suggest putting more butts in the seats and carpooling. There is ample parking for vehicles nearby your rooms in the village, along the mountaintop, and for those camping, there will be space nearby the designated Base-Camp areas. RV’s are to park in Silver Creek RV Dry Camping area only. No towable pop-ups, campers or RV’s are permitted in areas other than Silver Creek. Bring your tent, your friends and get ready for a beautiful weekend nestled in the mountains of West Virginia. Base-Camp Host stationed at the Boat House. Freedom to enjoy Wild & Wonderful WV with immediate access to Shavers Lake and activities including; swimming, paddle boats, canoes, kayaks, hiking trails, beach and lake-side hammocks. Lush camping with ideal temperatures for July averaging a high of 82 and low of 60. Both lakeside and mountain Base-Camping available. Enjoy the freedom of choosing your campsite and camping with your friends. Group campsites encouraged! The Boat House will serve food and drinks on a lakeside deck and 4848 food vendors will provide a variety of delicious options as well. Access to potable water, flushable toilets and $5 showers. Individual Festival Camping Ticket required to set up in 4848 Base-Camp locations. Complimentary Ski-Lift and Festival Express Shuttles to get you to and from the Mountaintop Village Festivities and will operate from 8:00 am until the music ends. Vehicle parking is a short walk to the camping area. Please carpool. Camping is within a 5 to 10 minute walk to the Boat House, beach and also to the lift that will propel you to the Mountaintop Village Experience! Enclosed propane grills are allowed for cooking only. Generators and camp-fires are not permitted! You will not be permitted to drive your personal vehicle to and from the 4848 Festival Venue. Once your car is parked, it needs to remain parked for the duration of the event. Enjoy the comforts of your own home on wheels at Silver Creek. Silver Creek RV Camping is 2.5 miles from the 4848 Mountaintop Village and a short shuttle ride from Shavers Lake. Complimentary Festival Express Shuttles get you to and from the Village and Shavers Lake. RV Campsites are on gravel. Everyone must have an individual RV Camping Ticket to camp in an RV at Silver Creek. Silver Creek is the home of The Locker Room Sports Bar which offers food, drinks and the only hot spot on the mountain. Snacks and essentials are available at the Wildcat Provisions and Deli at the top of the mountain. No dump stations or dedicated water outlets. Pumps and Water-fills available for a reasonable price to be determined. Showers are not available at the campground. No campfires or open flames. We love kids and want you to bring them along for the experience. 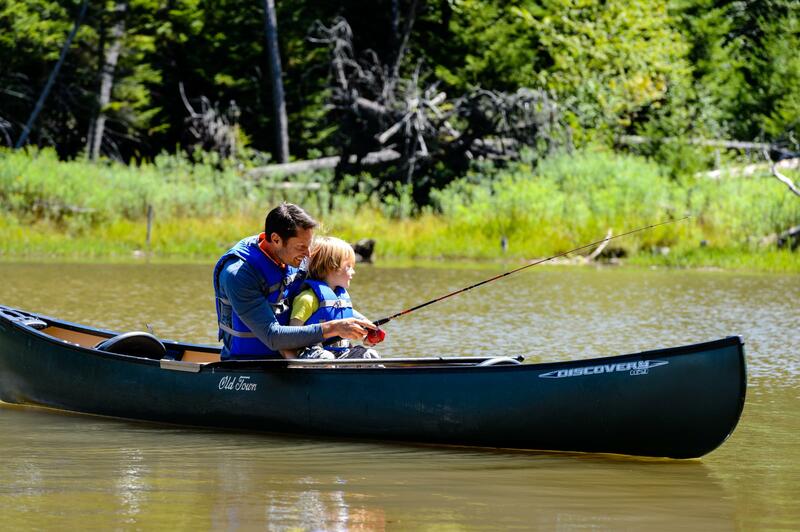 There are many kid friendly activities including a playground, water inflatables, beach, canoes, kayaking, hiking, the climbing wall, the zipline and much more. We will provide some additional festival related kids activities (stay tuned for more info!) and will make sure that they feel welcome and apart of 4848. Kids can either join you by staying in your room or with a kid’s camping ticket. All persons 13-17 years are considered adults, must pay full price and must be attached (in the cart) with an 18+ adult ticket, camping ticket or room package. All kids (0-12) must be attached (an add-on in the cart) to an adult ticket, camping ticket or room package. Kids (0-3) are free and must be an add-on purchase (no charge) to your adult ticket, camping ticket or room package. Kids (4-12) are a discounted price and must be an add-on purchase to your adult ticket, camping ticket or room package. Kids (0-3) GA: No charge as add-on purchase with all lodging. Included in the room “Sleeps” number. Kids (0-3) VIP: No charge as add-on purchase with all lodging. Included in the room “Sleeps” number. Kids (4-12) GA: $75 as an add-on purchase with all lodging. Included in the room “Sleeps” number. Kids (4-12) VIP: $125 as an add-on purchase with all lodging. Included in the room “Sleeps” number. Kids (0-12) are not included as one of the “# of Adults” in the lodging packages. Kids (0-3) GA: No charge as an add-on purchase with your camping ticket. Kids (4–12): $75 as an add-on purchase with an adult. Kids (0-3) GA: No charge as an add-on purchase to an adult ticket. Kids (4-12) GA: $75 as an add-on purchase to an adult ticket. Kids (0-3) VIP: No charge as add-on purchase to an adult ticket. Kids (4-12) VIP: $125 as an add-on purchase to an adult ticket. Kids (4-12) GA: $65 as an add-on purchase with all lodging. Included in the room “Sleeps” number. Kids (4–12): $65 as an add-on purchase with an adult. Kids (4-12) GA: $65 as an add-on purchase to an adult ticket. Enjoy “Wild and Wonderful WV”. No amplifiers of any kind. No charcoal grills (propane camp stoves are fine). No fires or personal firewood. No glass bottles in campground. No laser pens or laser lights. No unlicensed motorized vehicles (ATV’s, Golf Carts etc). No vehicles in fire lanes. No weapons, violence or hunting.